In the late 19th century, Germany conquered the regions that are now Tanzania (minus Zanzibar) and incorporated them into German East Africa (GEA). The Supreme Council of the 1919 Paris Peace Conference awarded all of GEA to Britain on 7 May 1919, over the strenuous objections of Belgium. :240 The British colonial secretary, Alfred Milner, and Belgium's minister plenipotentiary to the conference, Pierre Orts, then negotiated the Anglo-Belgian agreement of 30 May 1919:618–9 where Britain ceded the north-western GEA provinces of Ruanda and Urundi to Belgium. :246 The conference's Commission on Mandates ratified this agreement on 16 July 1919.:246–7 The Supreme Council accepted the agreement on 7 August 1919.:612–3 On 12 July 1919, the Commission on Mandates agreed that the small Kionga Triangle south of the Rovuma River would be given to Portuguese Mozambique,:243 with it eventually becoming part of independent Mozambique. The commission reasoned that Germany had virtually forced Portugal to cede the triangle in 1894.:243 The Treaty of Versailles was signed on 28 July 1919, although the treaty did not take effect until 10 January 1920. On that date, the GEA was transferred officially to Britain, Belgium, and Portugal. Also on that date, "Tanganyika" became the name of the British territory. John Magufuli won the October 2015 presidential election and secured a two-thirds majority in parliament. The other party or main opposition party in Tanzania is called Chama cha Demokrasia na Maendeleo (Chadema) (Swahili for "Party for Democracy and Progress"). In Zanzibar, the Civil United Front (CUF) is considered a main opposition political party. As of 2018, according to the IMF, Tanzania's gross domestic product (GDP) was an estimated $56.7 billion (nominal), or $176.5 billion on a purchasing power parity (PPP) basis. GDP per capita (PPP) was $3,457. As of 2012, life expectancy at birth was 61 years. The under-five mortality rate in 2012 was 54 per 1,000 live births. The maternal mortality rate in 2013 was estimated at 410 per 100,000 live births. Prematurity and malaria were tied in 2010 as the leading cause of death in children under 5 years old. The other leading causes of death for these children were, in decreasing order, malaria, diarrhoea, HIV, and measles. 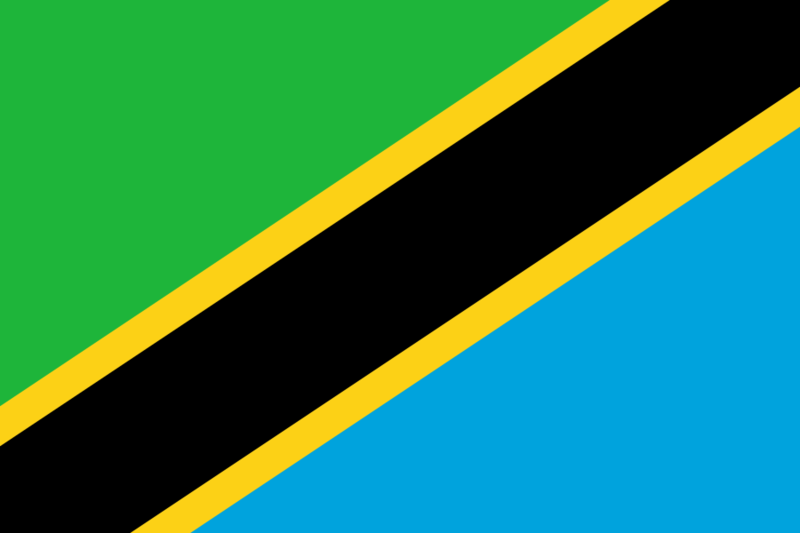 ^ a b c d "United Republic of Tanzania: Health Profile" (PDF). World Health Organization. May 2014. Retrieved 15 October 2014. Dar es Salaam (Dar) (from Arabic: دار السلام‎ Dār as-Salām, "the house of peace"; formerly Mzizima) is the former capital as well as the most populous city in Tanzania and a regionally important economic centre. Located on the Swahili coast, the city is one of the fastest growing cities in the world.Until 1974, Dar es Salaam served as Tanzania’s capital city, at which point the capital city commenced transferring to Dodoma, which was officially completed in 1996. However, as of 2018, it continues to remain a focus of central government bureaucracy, although this is in the process of fully moving to Dodoma. In addition, it is Tanzania's most prominent city in arts, fashion, media, music, film and television and a leading financial centre. The city is the leading arrival and departure point for most tourists who visit Tanzania, including the national parks for safaris and the islands of Unguja and Pemba. Dar es Salaam is also the largest and most populous Swahili-speaking city in the world. It is the capital of the co-extensive Dar es Salaam Region, which is one of Tanzania's 31 administrative regions and consists of five districts: Kinondoni in the north, Ilala in the centre, Ubungo, Temeke in the south and Kigamboni in the east across the Kurasini creek. The region had a population of 4,364,541 as of the official 2012 census. Lake Malawi, also known as Lake Nyasa in Tanzania and Lago Niassa in Mozambique, is an African Great Lake and the southernmost lake in the East African Rift system, located between Malawi, Mozambique and Tanzania. It is the fourth largest fresh water lake in the world by volume, the ninth largest lake in the world by area—and the third largest and second deepest lake in Africa. Lake Malawi is home to more species of fish than any other lake, including at least 700 species of cichlids. The Mozambique portion of the lake was officially declared a reserve by the Government of Mozambique on June 10, 2011, while in Malawi a portion of the lake is included in Lake Malawi National Park.Lake Malawi is a meromictic lake, meaning that its water layers do not mix. The permanent stratification of Lake Malawi's water and the oxic-anoxic boundary (relating to oxygen in the water) are maintained by moderately small chemical and thermal gradients. The National Assembly of Tanzania (Swahili: Bunge la Tanzania) and the President of the United Republic make up the Parliament of Tanzania. The current Speaker of the National Assembly is Job Ndugai, who presides over a unicameral assembly of 393 members.The National Assembly of Tanzania was formed as the Legislative Council of Tanzania Mainland – then known as Tanganyika – in 1926. The Council was formed under a law enacted by the British Parliament called the Tanganyika Legislative Council Order and Council. The law was gazetted in Tanganyika on 18 June 1926. The Council consisted of 20 members when it was formed on 7 December 1926 under the Chairmanship of the Governor of Tanganyika, Sir Donald Cameron. The first Speaker was appointed to replace the Governor as the Chairman of the Council in 1953. The office of Speaker was first occupied on 1 November 1953. In 1958, the Council got a few elected representatives for the first time. This was the first election allowed in the colony. Of the three political parties which participated in the elections, namely Tanganyika African Union (TANU), United Tanganyika Party (UTP) and African National Congress (ANC), only TANU won in some constituencies, thus becoming the first party to have elected members on the Council. Second elections for positions on the Council were held in 1960. These elections were part of the preparations being made to make Tanganyika an independent nation. All members appointed by the Governor were abolished and the people of Tanganyika were allowed to elect all members of the Council. In the same year, the name of the Council was changed to Legislative Assembly. The changes made in this year were constitutionally necessary so as to allow the President of Tanganyika to give assent to all laws passed instead of the Queen of the United Kingdom. The politics of Tanzania takes place in a framework of a unitary presidential democratic republic, whereby the President of Tanzania is both head of state and head of government, and of a multi-party system. Executive power is exercised by the government. Legislative power is vested in both the government and parliament. The party system is dominated by the Chama Cha Mapinduzi (Revolutionary State Party). The Judiciary is independent of the executive and the legislature. The Economist Intelligence Unit has rated Tanzania as "hybrid regime" in 2016. Tanzania is divided into thirty-one regions or mikoa. The Serengeti () ecosystem is a geographical region in Africa. It is located in northern Tanzania. It spans approximately 30,000 km2 (12,000 sq mi). There has been controversy about a proposed road to be built through the Serengeti.Serengeti is derived from the Maasai language, Maa; specifically, "Serengit" meaning "Endless Plains". The Tanzania national football team (Swahili: Timu ya Taifa ya Mpira wa Miguu ya Tanzania) represents Tanzania in association football and is controlled by the Tanzania Football Federation, the governing body for football in Tanzania. Tanzania's home ground is Benjamin Mkapa National Stadium in Dar-es-Salaam and their head coach is Mart Nooij from the Netherlands. Tanzania has never qualified for the World Cup finals. Before uniting with Zanzibar, the team played as the Tanganyika national football team. The island of Zanzibar, part of Tanzania (and once an independent nation), is also an associate member of CAF and has played matches with other nations, but is not eligible to enter the World Cup or Africa Cup of Nations. See Zanzibar national football team.